For most of us, the chance to have a direct impact seems distant and something that is unattainable. The world appears to follow its own distinct logic, and the occupation rolls on unencumbered by the desires of those under its feet. We currently have a brief moment to be able have some impact on a world that all too often appears to be completely out of our control. The 28th of February 2018 will mark the conclusion of our colleague’s, Salah Hamouri, administrative detention order. He will have spent 6 months in jail without charge and without trial, under a process that can be renewed an infinite amount of times. Based on ‘secret information’, Salah was declared to be a security threat to the occupation. Putting aside the circular reasoning that the occupation in fact is the primary cause of any ‘security threat’ against itself, no evidence or real claims were made against Salah. The only arguments mounted related to events that took place over 12 years ago. Since that time, Salah has married and become a father. 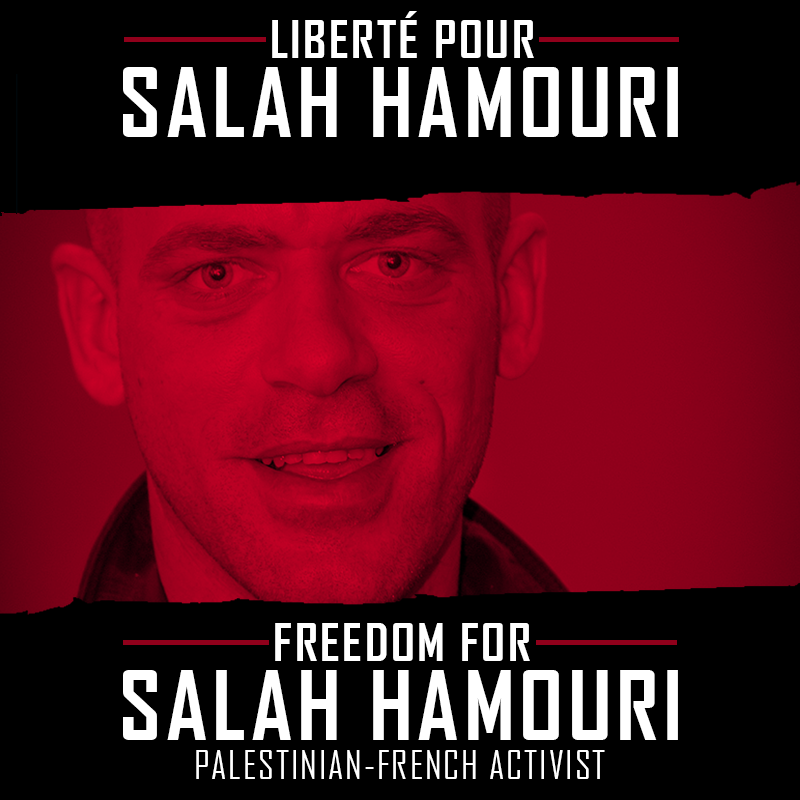 Due to his human rights work and activism, his French wife and son have been denied a visa by the occupation authorities with Salah having to travel back and forth between France and Palestine in order to have any physical contact with his family. Salah has sacrificed more than most to remain in his land of birth, and struggle for the cause of human rights and basic dignity. This is a call to all of those who have been involved with Salah’s campaign thus far to help us in these final three weeks. There is a high chance that Salah will not be released at the end of the month, and that he will have his order renewed for an additional period of time. As such, there will be a number of actions, petitions, and content related to Salah or to human rights defenders in general. What we ask from you is that you make sure to follow our social media accounts, share what you can, sign petitions, contact the relevant decision makers, and make as much noise on this issue as you possibly can. The relevant hashtags are: #FreeSalah and #LiberezSalah. More details will be made clear from now until the 28th but in essence, we have 22 days to make sure that Salah’s administrative detention orders is not renewed.